As tidbits of news are released by Wizards of the Coast about their D&D Next playtesting and the ideas behind the design, I can't help but be excited. D&D was, after all, the game that got me into gaming. 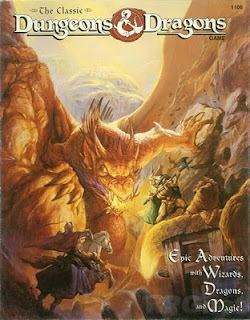 I've played a few other RPGs and plenty of other games, but AD&D got the ball rolling and regardless of the breaks I've taken over the years, I always come back... usually when a new edition is released. For me, this means that there is definitely a Dungeons & Dragons campaign in my future, even though I won't know when it will actually take off until I'm contacted for playtesting (fingers crossed) or we get a release date. In the meantime, I'll just have to keep checking the spoiler page on EN World and provide my commentary here and there. Let's start with the promise that might be most exciting to me. Option One: Include character templates or packages for the most common archetypes so that anyone can just pick up the game and play. While I personally find this option boring, I do understand its appeal. Where I think this option fails is in the long term expansion of the game, as more and more accessories are released, these options eventually pale in comparison. These are also relatively middle of the road when it comes to optimization, so if they follow the same trends as previous editions, it will be very simple for even the least competent optimizer to outclass these templates. Option Two: Rather than bonuses, themes and rules modules could make characters more flexible without having any major impact on their power level. While this sounds great in theory, I don't think it will hold up in practice, and I think players will be complaining if this is the route WotC takes. This would just be a lot more difficult to implement without creating balance issues down the line, because in reality, flexibility is its own form of power. As more splat books are released and more options become available, the highly customized characters will end up more powerful mechanically than the more simplistic characters. Some amount of power creep is inevitable (and, I would argue, almost necessary in order to sell splat books to a certain niche of consumers). You can say whatever you want about characters being limited by the number of actions they can take in a round, but assuming that more options does not equate to more power just seems a little foolish to me. Option Three: Keep track of the number of rules modules that each character incorporates. At the beginning of the session, if all are on the same level, proceed as usual. If one character has more rules modules than another, the character with the least gets some kind of static bonus to all primary abilities based on the difference. Let's assume Player #1 is just using the bare minimum when it comes to customization. He wants simplicity, so he rolls up a human fighter with no special rules at all. In the same group, Player #2 has spent hours writing a complex character history and customizing his character to match. He winds up with a half-elf druid, with both the planetouched and potion maker themes, as well as a rules module that he picked up in a splat book that was just released. 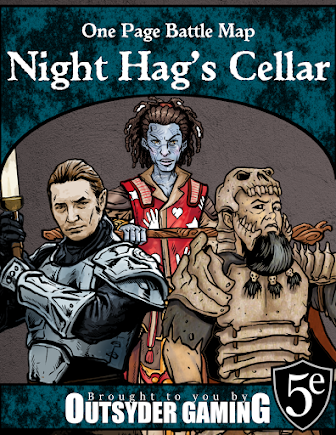 Compared to Player #1's character, Player #2's character has three extra rules modules from which he can gain bonuses, and he got to pick and choose where those bonuses went because he spent so much time fiddling with bonuses in character creation. To keep things simple for Player #1 but still keep both characters on relatively equal power level, the human fighter with no additional rules gets a static +3 bonus to strength (or maybe all strength related rolls). This seems a little wonky in explanation, but I don't think it would be that difficult in practice. At least in the last option there is some rules-based compensation given to the simpler characters. In addition, I can see this little option as a DM tool to help balance encounters. Got a group of characters who used a ton of rules modules and you're worried that your orc won't stand a chance? Just find the difference between his level and the number of modules they used, and add difference to some of his key scores (strength and hit points, for example). It's quick and dirty math, but it's great for DM's improvising. What do you think? Which of these options has the design team chosen? Is it something else altogether or a combination of these? Have they already revealed the system they're using and I just haven't read about it yet? Friday at 7:00 is the usual: Friday Night Magic. The format is standard, and Dark Ascension will have been legal for a few weeks. Saturday at 2:00 is a legacy tournament. Bring the best that you can assemble from all of Magic: The Gathering's rich history of cards. Sunday at 2:00 is a modern tournament. This fledgling format, less than a year old, is growing in popularity. Except for a relatively short banned list, if the card has the new border, you can play it. 2/14 Update: As it turns out, there's a big Star City Games tournament in Charlotte on the same weekend. I didn't have any clue when we planned this, but we're going to go ahead with the tournament anyway. Perhaps we can get together enough people to play despite the pull from the bigger tournament just down the road. As far as I know, Friday and Saturday formats will still be standard and legacy. I'm not 100% sure that Sunday will be modern, but a standard tournament or a draft would be fine by me. For those who do their testing on Magic Workstation, the patch for Dark Ascension can be found here. 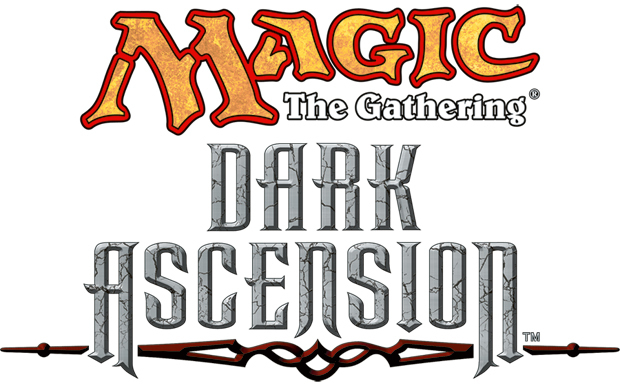 Speaking of Dark Ascension, there's going to be a big weekend of Magic at The Dugout in Hickory, North Carolina. Come out on February 17th-19th for three back-to-back tournaments. Click here for more details. I happened upon a random D&D reference in one of my favorite shows... 30 Rock. It's just in the first 10 seconds or so of the video below, but the rest is worth watching as well. First, let's look back at last year. Did I meet my goals for 2011? Well, I did much better in 2011 than I did in 2010! In 2010, I was 0 for 3... I did meet a few of my goals on technicalities, but I didn't really feel good about any of them. So for 2011, I decided to try harder and lower the bar. That's gotta be a recipe for success, right? Play outside of the man cave more often. I succeeded in both. Game night was fairly regular at the beginning of the year, and although it slacked off considerably after a few months, we did start it back up. As far as playing outside of the man cave... my headlong leap back into Magic: The Gathering took care of that. From May until September, I was playing around once a week, which is great compared to my prior habits of once or twice a year. Complete the first adventure in the Madcap Mercenaries campaign. This is an online Rifts game that I've been running with some good friends over the last few years. It never really took off, and has been dormant more than it has been active ever since it started. This year, I want to finish the first adventure. Play in a more competitive Magic: The Gathering tournament. I've played in tons of Friday Night Magic tournaments and casual tournaments, but the biggest events I've ever attended have been prereleases. And let's be honest... prereleases aren't that competitive. This year, I want to attend an event that will challenge me more than local tournaments, and hopefully make me a better player. I don't know if it will be a Star City Games event or something sponsored by Wizards of the Coast, but I'm going to find something. Continue chasing the same goals I stated in 2011! Game night needs to come back (again), and I really do enjoy playing at different stores in the area. I did much better with these in 2011, and I want to follow the same trend in 2012. We'll see how those goals pan out!